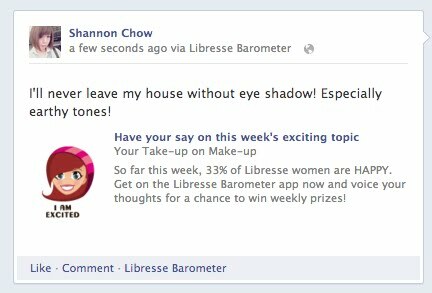 Sometimes I Facebook to look for some sort of interactions or while I’m slightly bored. How many of you feel the same way as I do? Recently I got to know of Libresse Barometer where it allows you, Facebook-ers to share your thoughts on topic shared by Libresse Malaysia! Libresse Barometer is an Online or Facebook Utility to express your feelings, current mood and opinions. It’s a unique platform for youth to converse, share and express.How to join in the fun? 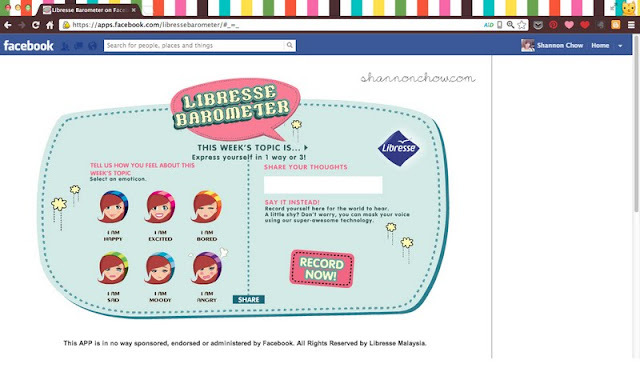 Once you’ve clicked on the tab of Libresse Barometer you are then directed to this page, just click “Enter” to start sharing your thoughts. There will be a weekly topic, and 3 questions will be posted up every Monday, Wednesday and Friday on Libresse Malaysia Facebook page. First, pick your current mood / feelings on the emotions, then share your thoughts on the topic of the week or question of the day. You can also record your voice instead of typing! 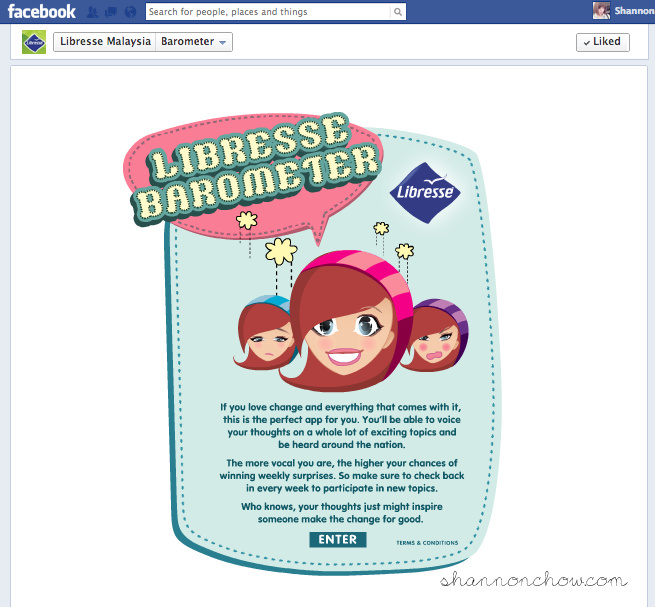 posted my thoughtsBy sharing your thoughts while participating in Libresse Barometer, you get a chance to receive little surprises! How to get Mini treat & how to qualify? Just answer any question of the day during that week as long as it remains in the same topic. Submissions of sentiments will be closed on every Sunday at 12.00am. 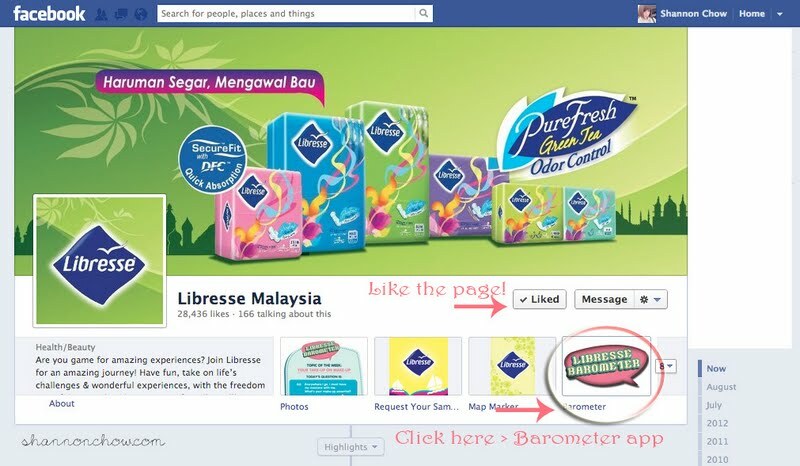 3 users (1x most active & 2x most interesting sentiments submitted) will be selected each week to receive little surprise from Libresse Malaysia. Keep sharing those thoughts and have fun, the app is running from now till December 2012.